Do you like Hostage Rescue? Share it with your friends. 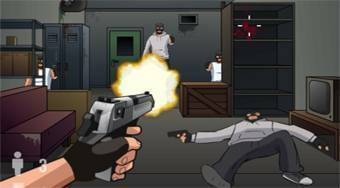 Hostage Rescue is a very good shooter in which you act as a member of a special intervention unit into a building occupied by terrorists and holding dozens of hostages. Go through the various parts of the building, kill the terrorists, and free the tied hostages.